Office Hour: schedule through email. 03/07 10:00am: Review for MapReduce due. See question here. 03/21 1:30--3:30pm: Final Exam @ Ry 276. The final exam covers content both before and after the midterm. Midterm Stats: Median: 82.75; Average: 79.86. Welcome to graduate operating systems! In this course, we will study interesting papers that cover a broad field of operating systems, including basic OS structure, concurrency and synchronization, memory management, file systems and storage, virtual machines, and reliability. We will examine influential historical systems and important current efforts, extracting lessons both on how to build systems as well as how to evaluate them. This course will focus on paper reading and projects . For the reading part, you will have to read one or two papers (as assigned) that we will discuss in each class. You will also need to think and write a short review for each paper before class. For the project part, you will do a course project throughout the quarter. You are encouraged to come up with topics of your own. There is no textbook for this course. Instead, we will read the original research papers covering the major historical advancement and recent research trends in operating system. Some of the papers in the reading-list are required. You need to read them before the class and write reviews for them. One question you want to ask about the paper. Answer one or two questions that I put on the reading list about the paper. You may need to read more than one paper for some class, but you only need to select one paper to write review about. 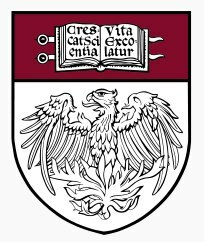 Please send your reviews through e-mail to the instructor (shanlu at cs uchicago edu) before 10:00 am on the day of class. Please include "331" in the subject line of your e-mail. The reviews will be graded; the deadline is firm (late penalty: -0.3 per day). The course project is the main focus of the course. In general, people should work in groups of two. You are encouraged to think of a project on your own, which I can then help to refine. Project write-ups will be similar in format to a conference submission; all projects will be presented at the end of the semester. There will be two exams. You should be familiar with the papers and be able answer the questions from the reading section about those papers.